You are greeted at your city hotel at 0900 and transferred to Essendon Airport. 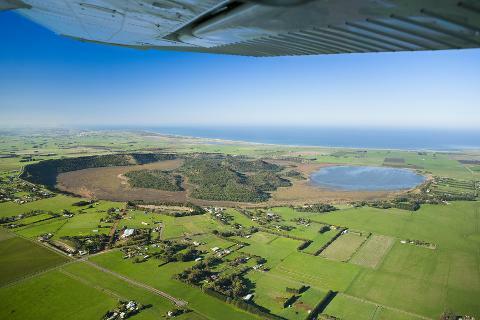 After boarding your small plane, you are taken on a Flight over Melbourne city and on to Cobden Airstrip. Upon arrival at Cobden Airstrip, you are met by your tour guide and start your journey of this famous coastline. 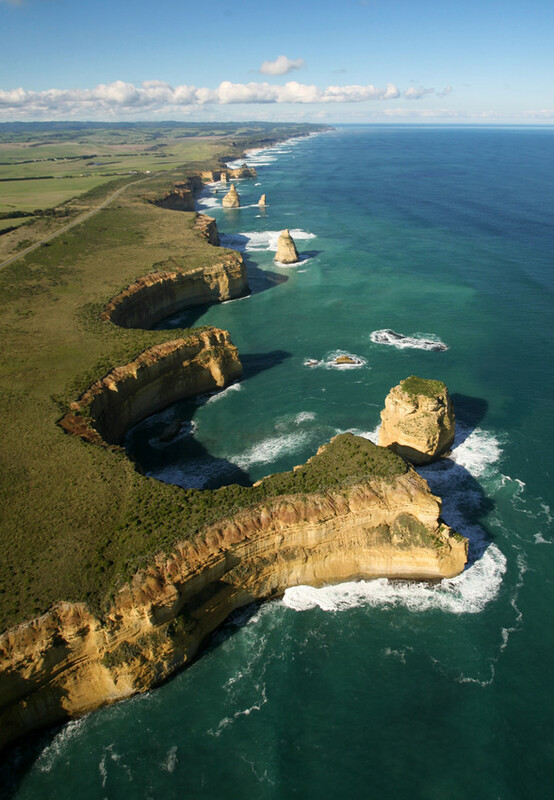 En-route to Port Campbell, our guide gives you a full overview of the region's attractions and history. The first stop is the 12 Apostles. These Icons of Australia’s rugged landscape have been formed over millions of years. Your guide will explain the natural history of this limestone stacks and the constant erosion of the coastline due to its exposure to the harsh elements of the Southern Ocean. From here it is only a short drive to Loch Ard Gorge, where in 1878 the ‘Loch Ard’ carrying 54 people was wrecked with only 2 survivors. We tell of Tom and Eva’s struggle to find safety while reading their diary notes and handing around original artifacts from the wreck. This wreck had the most lives lost of any shipwreck along the coast and signaled the last days of sailing this treacherous route. A gourmet lunch with local wines and cheeses will follow at Port Campbell. 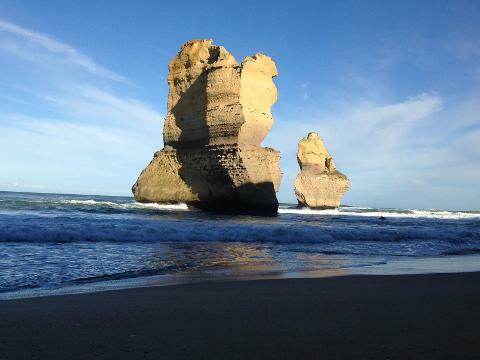 A visit to London Bridge rock formation to hear the story behind its collapse in 1990 will conclude the sightseeing before returning to Cobden airstrip for your return flight over the 12 Apostles and along the Great Ocean Road coastline. Upon arriving at Essendon airport, you will be collected and returned to your city hotel by 1630. 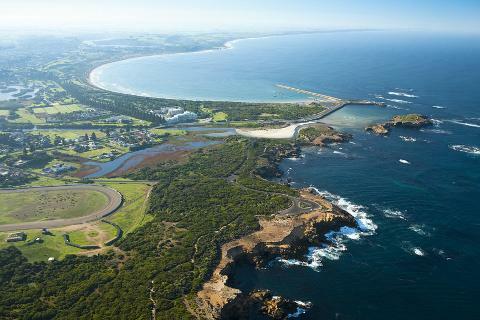 Our Great Ocean Road Fly/Drive tour is a private tour only which departs at 0900 from Melbourne. Pickups are available from all city hotels within Melbourne. Passengers will be returned to their points of departure at 1630 at the completion of the tour.